There are basically two types of people in the world: the ones who love veggies, and the ones who simply tolerate them. If you fall into the latter category, there's still hope — you're just not preparing them right. 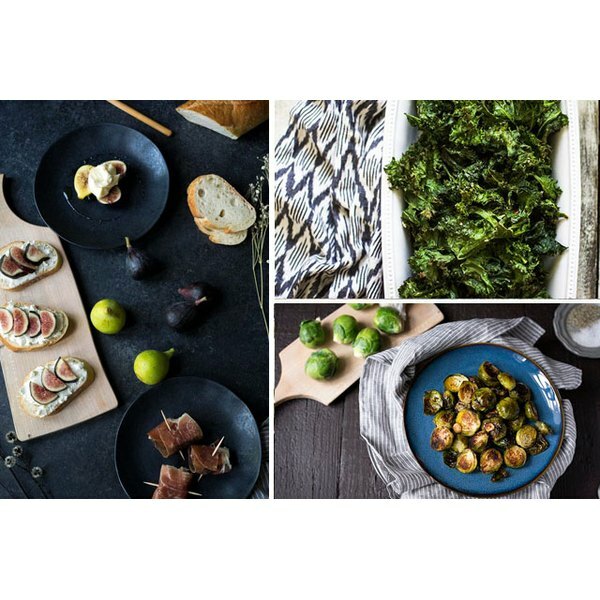 Autumn brings a fresh menu of delectable veggies to the table, and now is the time to take advantage of this abundant produce with a collection of simple, flavorful recipes. From mashed sweet potatoes to roasted kale chips, and honey-glazed carrots to slices of fresh figs, here's what will get you and your tastebuds into the veggie-loving category. Trust us, they've never tasted this good. This cheesy potatoes au gratin recipe is as easy as it is delicious. Paper thin slices of potato and onion are layered and baked in a creamy cheese sauce until they're brown and bubbly. Top the dish with chopped green onion, and enjoy it alongside a garden salad for a satisfying #meatlessmonday meal. 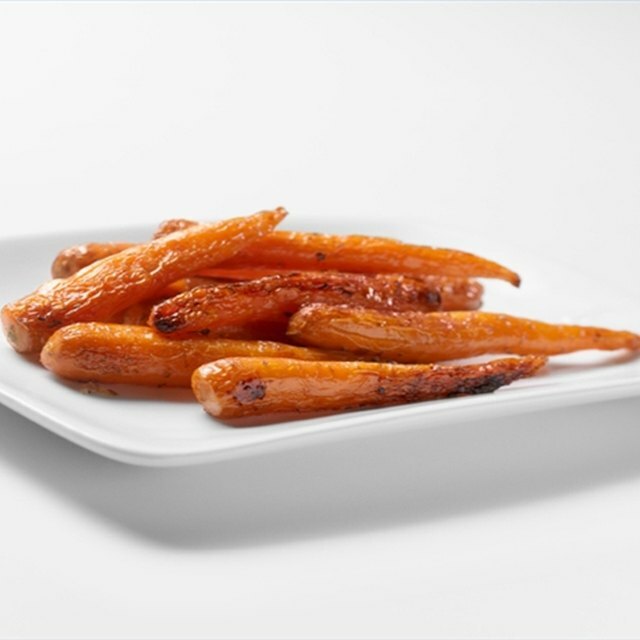 Even if you're not a total veggie lover, you'll gladly devour every last carrot on your plate when they're covered in a thick honey rum glaze. The carrots need a 20 minute head start in the oven, which gives you plenty of time to whip up the simple three-ingredient glaze. Brussels sprouts have a bad rap for being the blandest and stinkiest side dish on the dinner table, but really, that couldn't be further from the truth. Instead of boiling them, chop each one in half and cover 'em with olive oil, salt and pepper. Then, roast them until the outsides are crunchy and caramelized. At your next cookout, ditch regular fries for these grilled sweet potato ones instead. You won't hear a single complaint from your friends once they taste how good these are. The natural sweetness paired with the smoky char from the grill make the perfect savory and sweet combination. While beets might not be the first vegetable you gravitate toward at the farmer's market, the versatile vegetable can elevate your chopped salad with its mildly sweet flavor and soft texture. Even the leafy green tops are edible. Simply sauté a bunch with olive oil and dig in! Imagine being able to munch on as many crunchy, salty chips as you want without feeling an ounce of guilt. Well, now you can. These kale chips will satisfy your salty cravings and take care of your daily greens intake simultaneously. Cook your kale on a drying rack to achieve the crispiest chips possible, or else you'll need to flip them halfway through. Eating a bowl of smooth, creamy mashed potatoes is like wrapping yourself in a warm blanket from the inside out. If you're making these ahead of time but don't want them to dry out, just set the finished mashed potatoes up in a double boiler until you're ready to eat. Don't be intimidated if you spot fresh figs in the produce section, just run over and grab them as fast as you can. Wrap them in thin slices of prosciutto, layer them with goat cheese on crusty bread or top them with mascarpone and honey. Whatever you do, do it quick — figs are extremely perishable and should be used within one or two days. Sweet potatoes are just as flexible as regular potatoes, and even more flavorful. You can roast 'em, boil 'em, mash 'em, fry 'em — there's no wrong way to eat them. Switch it up this Thanksgiving with a batch of mashed sweet potatoes topped with a dash of cinnamon for a sweet twist on a classic side dish. Ashley Tyler is a South Florida-based freelance writer with a Bachelor of Arts in English from Nova Southeastern University. When she's not writing, she can be found chasing around her two year old son, cooking up a storm or tackling multiple DIY projects.